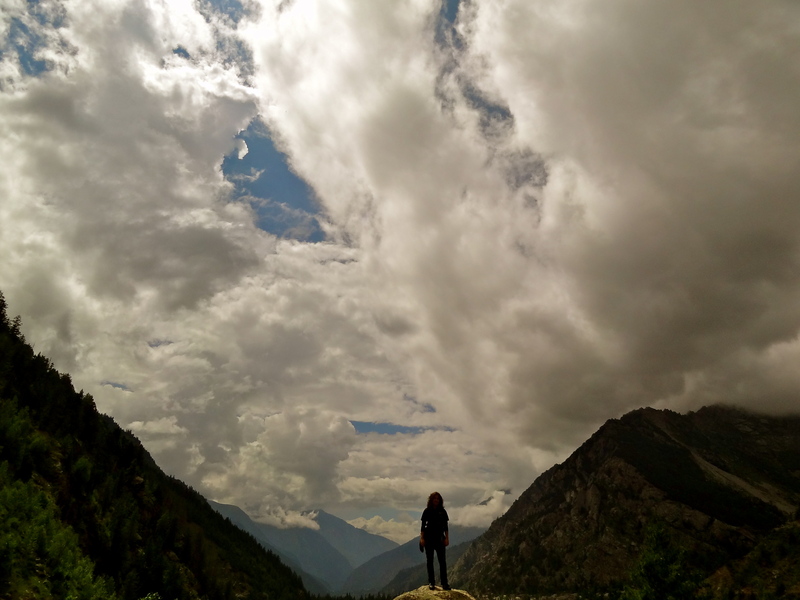 Kinnaur: Of Mountain Legends, Unknown Trails and Wild Beauty. For centuries, the valley remained cut off from the rest of India. Legend has it that when a road was finally built and the first car drove up, the locals weren’t sure what to feed it. The driver playfully declared that the car likes chicken and whisky. The locals innocently obliged, and the driver had a feast. They also say that when an elderly woman boarded a bus for the first time, she left her shoes on the road as a sign of respect to the bus. Getting off at her destination, she was shocked that her shoes were gone, no longer outside the bus where she had taken them off. 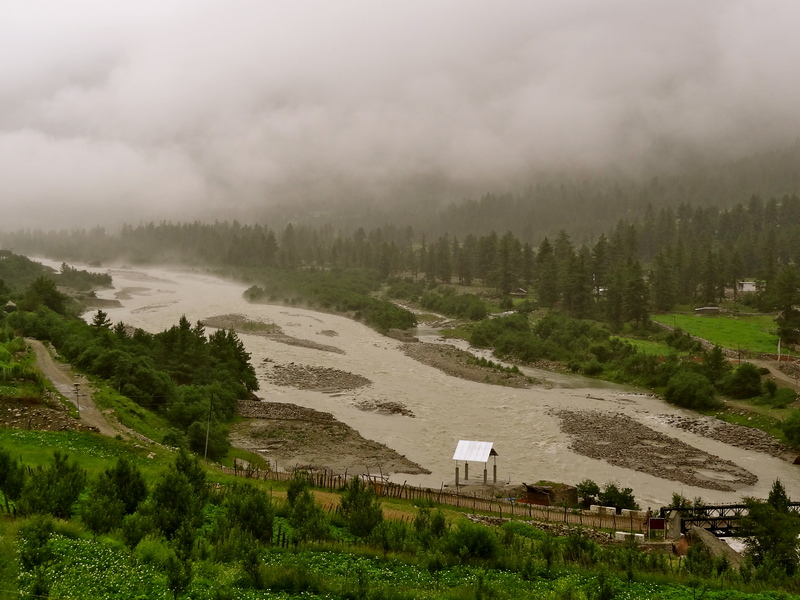 Such are the legends of Kinnaur, whose wild beauty I witnessed in the monsoon of 2012 (Also See: In Photos: Sangla Valley, Kinnaur). Winding along the Himalayas hours from Shimla, our car screeches to a halt beside the jagged mountain rocks. The steep bend ahead is one of the most dangerous, cursed even, on these mountain roads. Hidden away in the mountain is the cave of a saint, without whose blessing no buses dare to continue the journey. But that’s not why we’ve stopped here. Life in the village of Rakcham. On this cool monsoon morning, a warm sunlight pours through the dark grey sky. On one side, the lush Himalayas stand tall, their peaks kissed by ominous low-lying clouds. Far below on the other, a dramatic valley with clusters of villages sits untouched. The saint is preparing his chillum when a bus halts across the road. He instantly drops it, picks up a steel thali with a white tikka, and runs across barefoot, chanting, nodding, blessing every passenger, collecting money, his long white hair and beard flying in the wind. For decades, this saint has led a solitary life in the mountains, and his blessings and chillum have earned him the nickname of Happy Baba! Lost in the mountains of Kinnaur. Back in our trusty Tata Safari, our driver races up the slope, turning into a road winding along ancient forests of pine and oak. We reach our first stop Sarahan, late at night, and walk into what was once a temple of human sacrifices. The feeling of being surrounded by aged stonewalls that witnessed gruesome sacrifices in the name of religion, might haunt me forever. We continue our trail into the valley of the Sutlej River, through breathtaking Himalayan scenery, to the charming village of Rakcham. The rocky mountain slopes are home to traditional wooden stilt homes, surrounded by white fields of potato. The Sutlej flows along ferociously, and above it, on a rickety steel bridge, we walk across to the Baspa Valley, covered with fields of wild pink flowers. We follow arrows marked on rocks, past dense forests, rolling green meadows and waterfalls. We tip-toe on wooden planks to cross gushing streams, follow shepherds herding their goats, and witness the Baspa river flowing down the mountain with such intensity as I’ve never seen before. The Sutlej River splitting the Sangla and Baspa valleys. Our driver relates tales of his first time in the valley. Rumor had it that the region’s most beautiful young girl lived in the far-flung village of Chitkul. So our man and his friend hiked for hours, through the forest and mountains for there was no road then, to see her. They insisted on having a meal in her father’s house, in the hope of catching a glimpse of her. A glimpse they did catch, but with their shaking hands and ancient camera, they could only get a picture of her feet! Only in retrospect did they realize that the village itself was strikingly beautiful too. And so we had to visit it ourselves. We hop into our car and drive through rough, broken strips to Chitkul, the last village of India before Tibet. Stark brown mountains await us here, making me nostalgic of my trip to the cold mountain desert of Spiti. 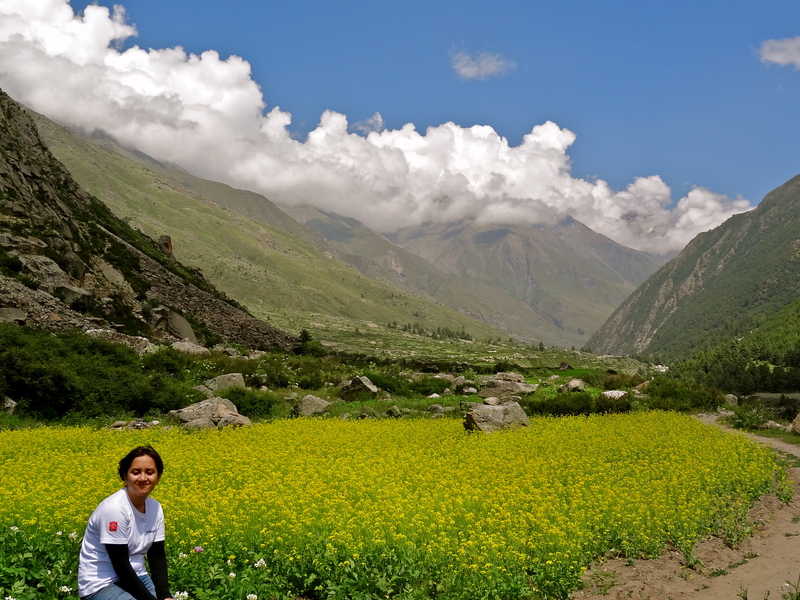 But unlike Spiti, in the midst of these barren mountains lie blooming fields of wild yellow plants and some of the world’s finest vegetables. These mountains are the closest we can get to Tibet from India, a thought that makes me crave to witness what’s beyond. Hopefully, I’ll find out one day. Join Tata Safari on Facebook and Twitter for more travel inspiration. Have you discovered any interesting trails in the Himalayas? Note: I’ve written this post as part of Tata Safari’s #SafariTrails campaign. Reminds me a bit of the Saastal in Switzerland… you get to some pretty awesome places Shivya! And I have to say it hardly does justice to the place. Go soon! Great job once again with the word and the photos Shivya. Have been an ardent follower of your blog! Wow, where do you live now? I’m sure Nainital has changed so much since she grew up there, but worth a visit to discover it still. A beautifully worded post, and some gorgeous pictures to go with it. Your posts really succeed in making me travel along with you! the story about that old woman was funny… and breadthtaking pictures. definitely want to visit one day. I hope you get to soon. And I remember bursting into laughter when I heard that story too! Bucket List & all that! Where is the second pic taken?!! I have to know! 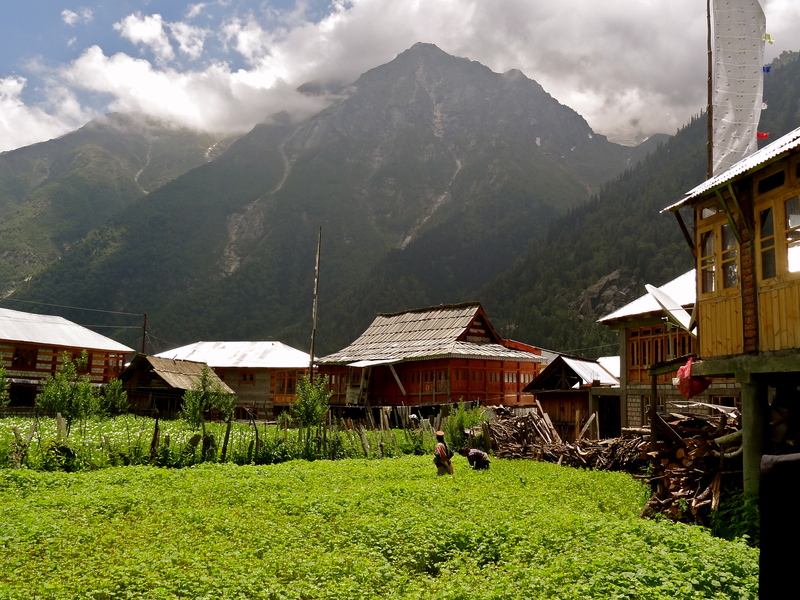 Going to Kinnaur next month! Previous Post6 Offbeat Experiences Near Hampi. Next PostTravel Contest: Win a Trip for Two to Singapore!